The goldfish is one of the most popular of all the fish kept as pets. They are a group of freshwater fish belonging to the Family Cyprinidae, Order Cypriniformes, and one of the earliest species of fish to be domesticated. The myth that goldfish have a very short attention span has been making the rounds in the web and even among aquarists. However, research studies have shown that this is not correct. In fact, goldfish have been shown to have a memory that can last at least three months. They also possess the ability to differentiate between various shapes, colors and sounds. Goldfish are certainly smarter than you think. Some have been observed to perceive and remember well enough to distinguish between people. They often notice the person who feeds them each day, and will get excited when they see them. 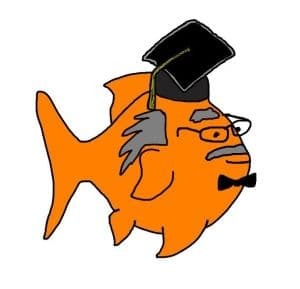 Experiments show that once they are trained to perform a certain task or trick in response to a specific stimulus, the goldfish can remember the task for several days. There have been situations where goldfish have been trained to do tricks like swim through mazes, through hoops, or even push a ball into a net. The behaviors of goldfish are greatly influenced by their environment, as well as the conditioning—intended or otherwise— they receive from their owners. Goldfish have been observed to have strong associative learning abilities and social learning skills. They also possess visual sharpness that allows them to distinguish between humans. 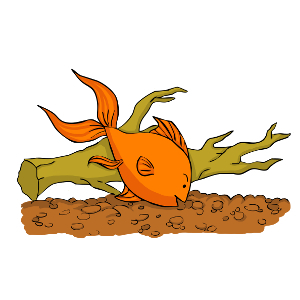 You may have observed your goldfish reacting favorably to your presence—swimming to the side of the tank, going to the surface for food, or swimming rapidly around—while shying away or hiding when unfamiliar people approach the tank. With frequent interaction during feeding, your goldfish will learn to associate your presence with food, thus you may find them “begging” for food whenever you approach the tank. 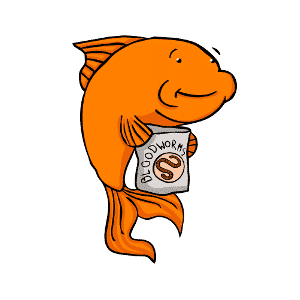 In fact, your goldfish will soon learn to anticipate feedings, provided you follow a specific feeding schedule. When goldfish experience regular visual contact with people, they will stop considering them as potential threats. 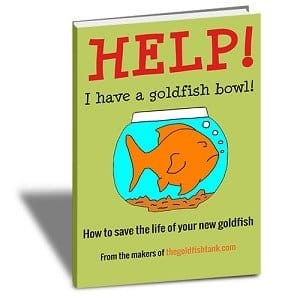 Once a goldfish has been kept in a tank for several weeks or months, it can even become possible to feed them by hand (though we don’t recommend feeding your goldfish in this way!). Goldfish have also learned behaviors derived from their native carp ancestors. These behaviors –varied feeding, breeding, and avoidance of predators—all contribute to their survival. Goldfish are social and outgoing, displaying schooling behavior, as well as similar types of feeding behaviors. Fish have long-term memories that help them keep track of existing social relationships that are relatively complex. Their spatial memory is equal to any other vertebrate, allowing them to make cognitive maps that can help them maneuver through their aquatic environment. My name’s Peter Hartono and I’m the founder and CEO of Just Aquatic – a proud Australian company that offers homegrown aquatic plants and aquarium supplies carrying top of the line brands including API, biOrb and Exo Terra. To find out more of our exciting offers and promotions check out our Facebook Page and follow us on Twitter at @justaquatic.